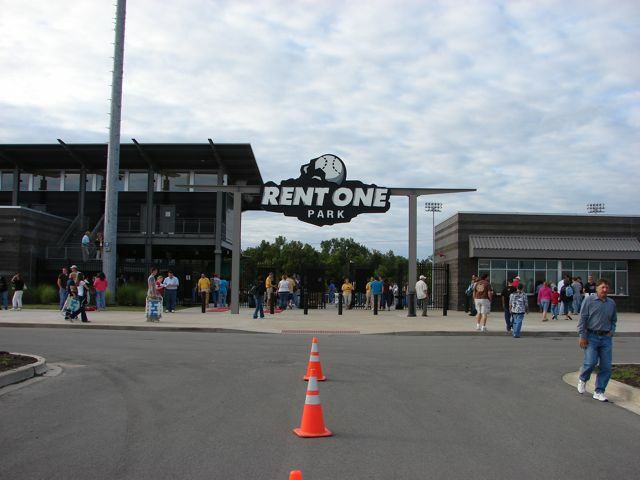 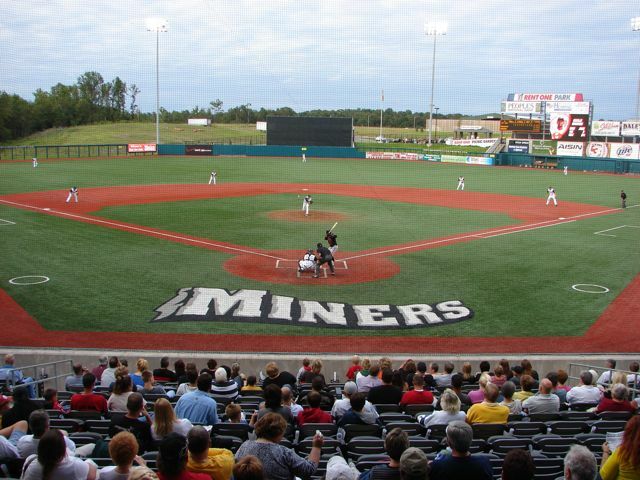 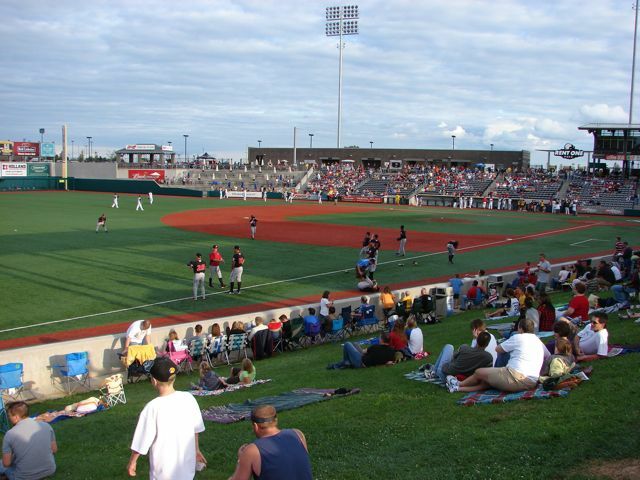 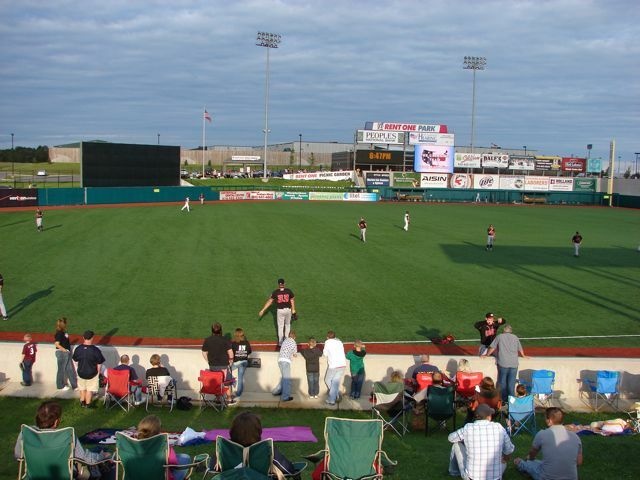 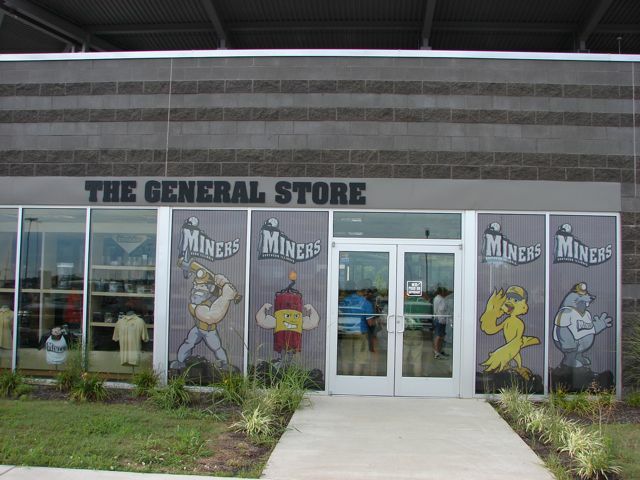 The Southern Illinois Miners, a Frontier League Independent team, play at Rent One Ballpark, built in 2007 and seating 4,500. 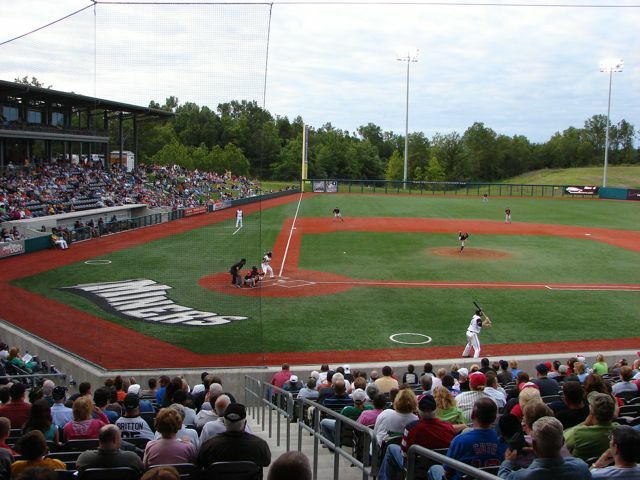 This is a nice ballpark with a mix of seats, bleachers, and grass seating. 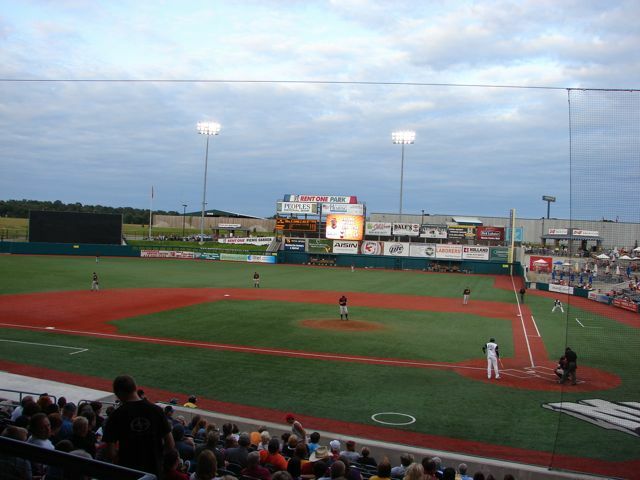 The suites are mailing along the third base line. 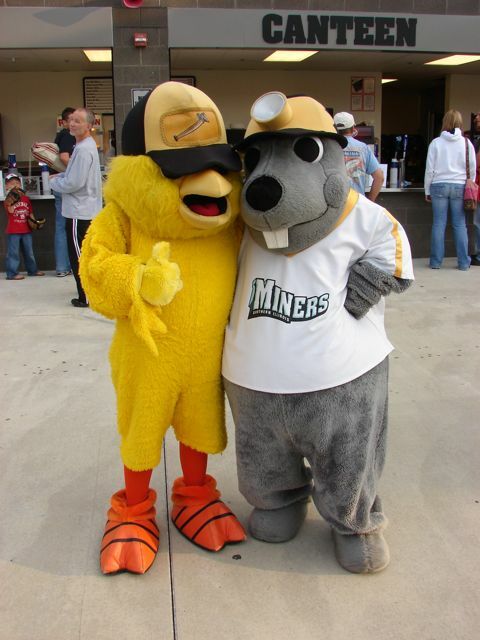 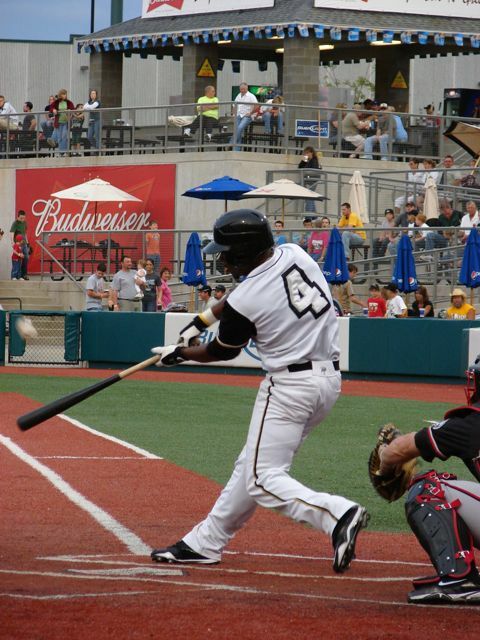 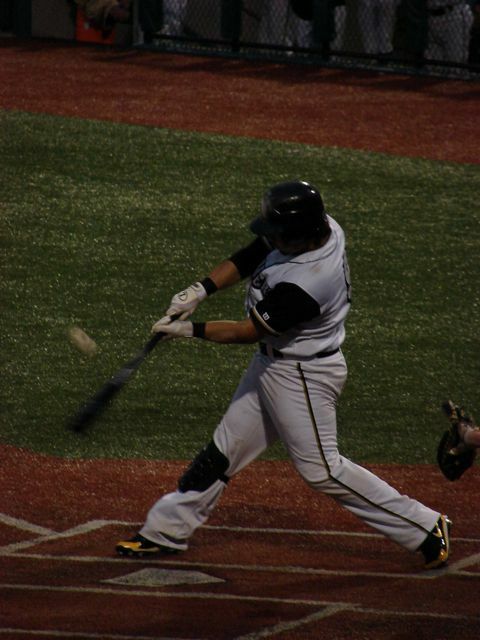 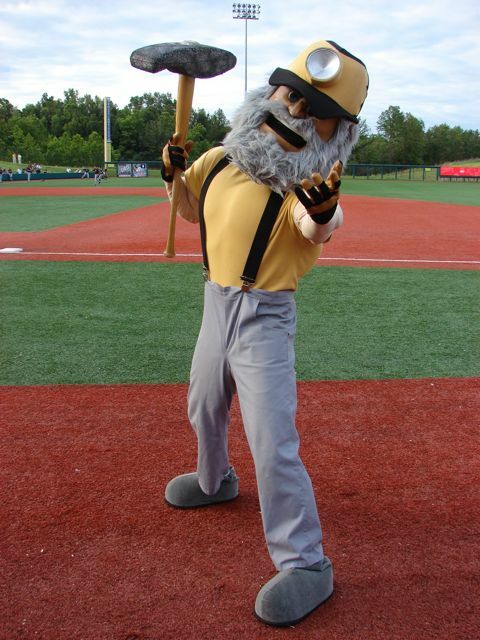 The Miners were playing the Florence Freedom and won 6-3. 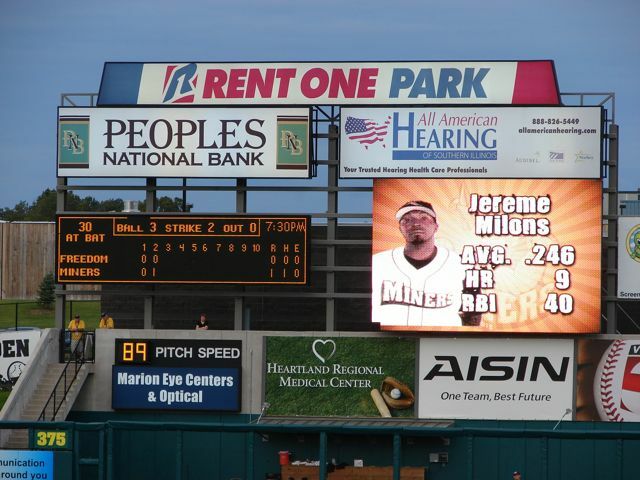 The box score was Freedom R-3, H-9, E-0 and Miners R-6, H-11, E-3. 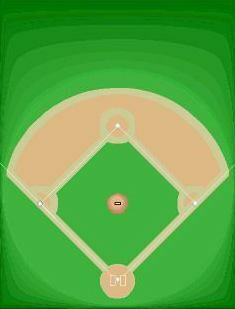 The field lines are RF-335', RC-375', CF-400', LC-392', LF-320. 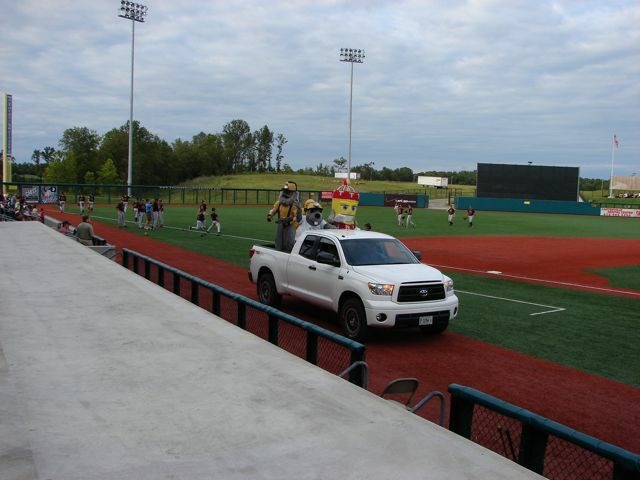 This is an all artificial turf that was installed for ease of maintenance purposes. 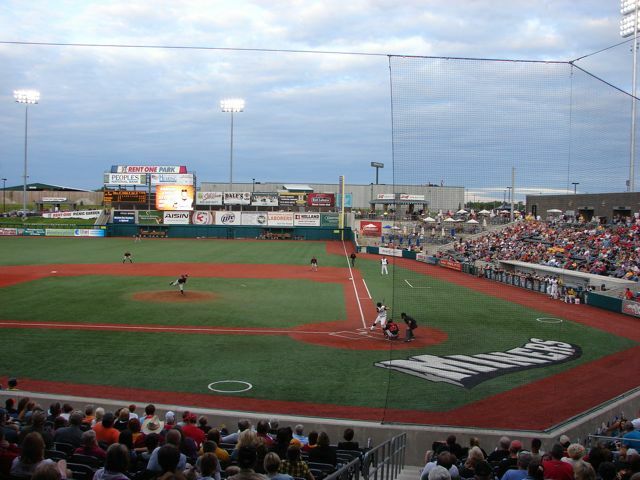 Jim was told that even with a 4 hour heavy rain the field will drain well enough for the game to be held. 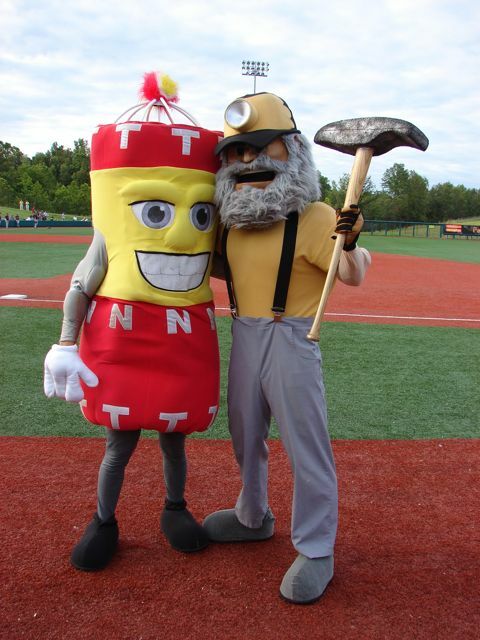 The mascots are Big John, TNT, Canary, and Mole. 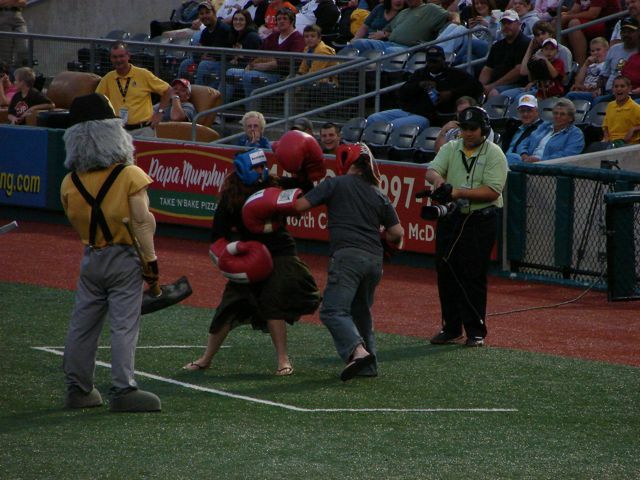 The mid-inning Queen of the Ring activity had two women donning oversized boxing gloves and fighting each other. 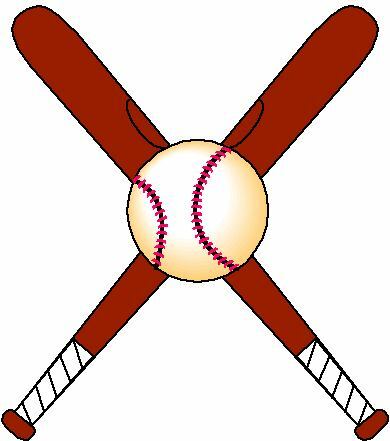 The crowd determines the winner. 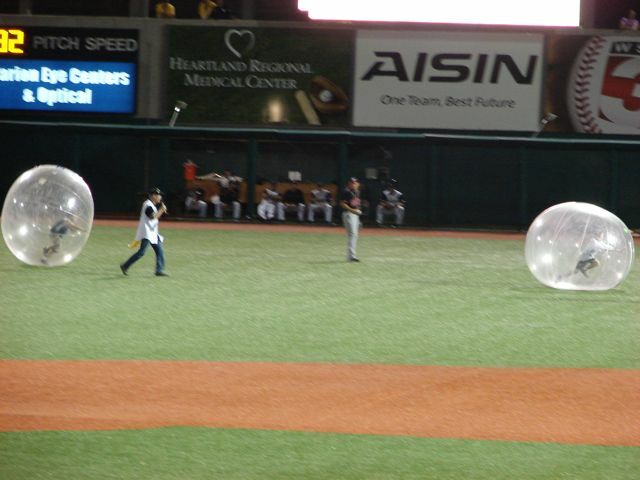 Another activity was the kid in the large ball race where the kids had to run inside the large plastic ball to roll the ball. 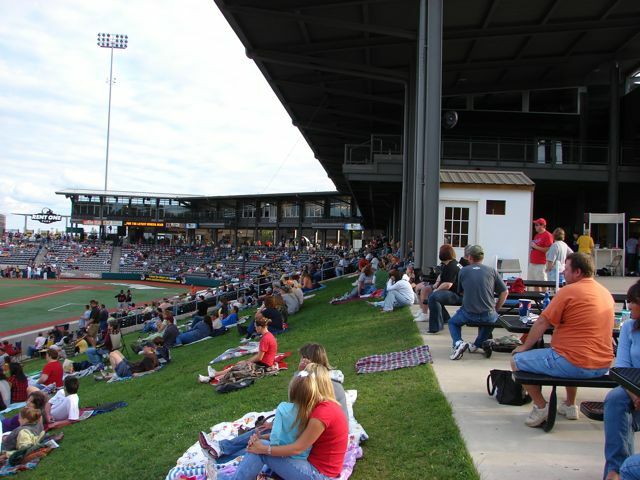 The attendance was 5, 258.